In my early research, the life of Joel Newsom was on the periphery. As the suspected brother of my third great grandfather, Henry Newsom, he was always a person of interest but never the focal point. After collecting a wide variety of records and slowly integrating decades of information, I came to see the life of Joel Newsom as the clearest path to the probable father of the Camden Newsoms—another Joel Newsom. The stories of Joel Newsom, Sr. and Joel Newsom, Jr. touch upon a number of family members who provide insight into the lifestyles and motives of nineteenth century free people of color. Joel Newsom, Sr. was born in Northampton County, NC between 1776 and 1794 to Moses Newsom (b. 1735) and an unknown mother. There is little information about his early life but his father was a relatively well established Revolutionary War patriot with a large amount of land. Some time before 1807, Joel married Penny Walden, the daughter of Winnifred Newsom (his step-mother) and her previous husband, John Walden. It is possible that Joel had a previous wife but together he and Penny had at least two, possibly three sons—Henry, Andrew, and Joel Newsom. There were no Northampton County deeds for Joel Newsom, Sr. so he and his family may have lived on the land of his father or that of another relative. Together the Newsoms owned hundreds of acres in Kirbys Creek just south of the Virginia line and the Meherrin River near present day Conway, NC. In the 1810 Federal Census, Joel was listed with many other Newsoms—Amos, Henry, James, Moses, and Nathaniel Newsom were all close relatives and neighbors. In the 1820 Federal Census, Henry and James Newsom had moved to Ohio but Amos, Moses, Nathaniel and several other Newsoms remained in the area. It is unclear why some of the family chose to stay while others chose to leave but it could have been money related. Moses Newsom left his youngest sons, Henry and James Newsom, a large amount of land in his will (proved 1805) which they were able to sell for money to purchase land elsewhere. The brothers moved to Ohio with the Marmon family (which was spelled Merrimon in Northampton County) shortly after their father’s death. They were likely pursuing a better quality of life away from the increasing social tensions for free people of color in North Carolina. Some time between 1820 and 1830 Joel Newsom, Sr. passed away. Henry would have been around 20 years old at this time but Andrew and Joel were still teenagers and this left their mother Penny in a difficult situation. Records do not reveal how and why she went to Pasquotank County but in 1830 she bound her youngest son Joel into an apprenticeship there with Vincent McPherson (in 1833 Joel was bound out again to Miles White). Shortly after 1833 Penny Newsom also passed away and Andrew, who was still a minor at the time, was bound into an apprenticeship with Ambrose McPherson. Throughout the 1830s-1840s, the heirs Joel Newsom Sr. were mentioned in James Newsom’s estate distribution cases in Champaign and Logan Counties (rather than Joel himself) further indicating that he was deceased by 1830. In these cases his heirs were named as Moses Newsom, Henry Newsom, Angelina Artist (wife of George Artist), Lucy Hunt (wife of James Hunt), and four unknown heirs. Although there are no records to place Joel Newsom in 1840, in the 1850 Federal Census he was done with his apprenticeship and living in Camden County with his wife Matilda and their children Mary Jane, Sarah, and Martha and Mary Sexton (of unknown relationship). Henry Newsom was living in the neighboring household with his wife Eliza and their children Martha, Mary, Ann, and Elizabeth. At the time, Henry owned a 30 year old male slave and a 15 year old female slave. Joel and Henry were likely farmhands on the farm of William W. Sanderlin which was located next to their households. Neither one of them owned real estate; however, in fall of 1854 Henry Newsom and his son-in-law, Theophilus Cartwright, bought 55 acres from Caleb Waterfield. In that same year, Joel Newsom and other heirs of Joel Newsom were documented in a Champaign County lawsuit against Abraham Colwell. Was it a coincidence that Henry Newsom had the money to purchase land right after the heirs of Joel Newsom received a settlement in spring of 1854? In the early 1850s, Joel and Matilda Newsom moved to Philadelphia, PA. They did not appear in the census because they moved there in between census years but their relatively brief period of residence was captured in the death certificate of their son Eli Newsom. Eli, whose surname appears to have alternated between Newsom and Sexton, was born in Philadelphia in 1855. It does not appear that Joel Newsom, Jr. was in Philadelphia, PA alone. His uncle, Nathan Newsom, was documented there as early as 1820 in Northern Liberties—an area densely populated by Quakers and free people of color. In 1828, Nathan Newsom and his wife (?) M Newsom were recorded on a Pennsylvania Passenger and Crew List. They traveled from Cap-Haitien, a port in Haiti, back into Philadelphia on the schooner MacDonough. Nathan’s journey happened around the time that some members of the American Colonization Society—a group dedicated to the repatriation of free African Americans—were shifting their focus from a colony in Liberia to a colony in Haiti (which was a closer, faster point of relocation). With the approval of Haitian president Jean-Pierre Boyer, an estimated 6,000 free African Americans emigrated to Haiti from ports in Baltimore, Philadelphia, and New York. In theory, free African Americans would have a better quality of life and been out of the sight of slaves who may have been roused to rebellion due to a desire to be free as well. Unfortunately for many who invested in this plan, emigration was a disappointment. Life was not better (for most) in Haiti and there was also a language barrier. This led many free African Americans to return to their home states and it is quite possible that Nathan Newsom and his wife were a part of this venture. Nathan Newsom was noted as living in Pennsylvania (while others were in North Carolina or Ohio) in each of the Newsom family estate distribution court records (1830s-1840s). He was still living in Northern Liberties during the 1847 African American Census sponsored by the Pennsylvania Abolition Society. 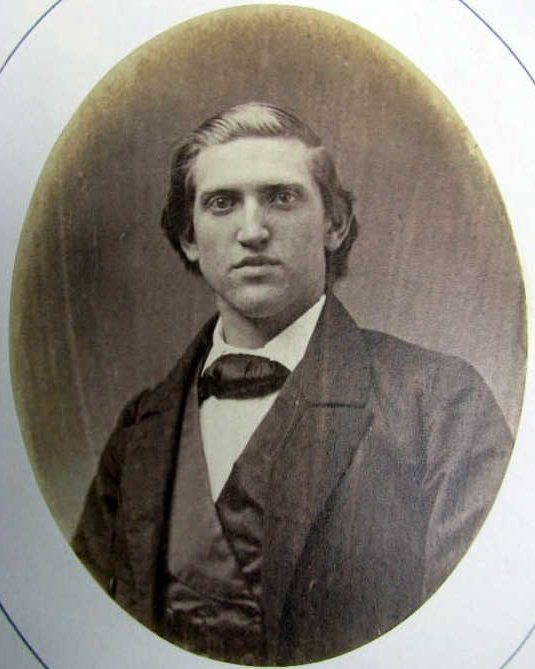 Some time between 1856 and 1860, Joel and his family moved from Philadelphia, PA to Logan, OH. In the 1860 census, Joel, Matilda, Mary, and Sarah Newsom along with four Saxton children (William, Martha, Eli, and Joseph) were all living in Jefferson Township. Dorothy Newsom, the widow of Joel’s uncle Henry Newsom, was living in the neighboring household with her sons Nathan, Henry, and Isaiah Newsom. Joel went from having no real estate in NC to having $1800 in real estate and $400 in personal estate in OH. Nathan Newsom’s real estate was valued at $3650 and his personal estate was also valued at $400. In the following census year of 1870, Joel remained in Bellefontaine, OH but his real estate value went down to $400 while Nathan’s went down to $700. It is unclear what happened to cause these values to fluctuate so drastically. After over a year of collecting individual records to tell the story of Joel Newsom, Jr.’s life, I found an obituary in the October 20, 1899 edition of The Bellefontaine Republican that verified many of the details I placed together. He was born on March 3, 1818 in North Carolina. His father died leaving his mother impoverished and forced to apprentice him with someone with the money to care for him. At the end of his apprenticeship he moved to Philadelphia, PA and then continued on to Logan, OH. He experienced a significant amount of loss in his life but remained an honorable man of good character. Joel Newsom, Jr.’s travel exposed him to life in three states and the perspectives of many different people. His familial relationships also established a bridge from the Camden Newsoms to the Northampton and Logan Newsoms. My current research goal is to locate additional records related to the inheritance of Joel Newsom, Sr.’s heirs to complete this branch of the family. Hmmm. I wonder if my Newsom line may be related to this one… I have a “brick wall” Mary Newsom born in VA about 1813. She went to Muhlenberg County, KY as did my Bass line. Staying tuned!! There was a Henry Newsome and Joel Newsome living next door to each other in the 1850 census (Camden,N.C.) And in the 1860 census (Logan,Ohio) There is a Joel Newsome living next door to a a Doratha (Dorothy) You stated that she was the widow of Henry Newsome.I am confused because in the 1850 census there were just girls listed with Henry and Eliza Newsome.But in the 1860 census there were just males listed with who you stated was the widow (Dorothy) of Henry Newsome. 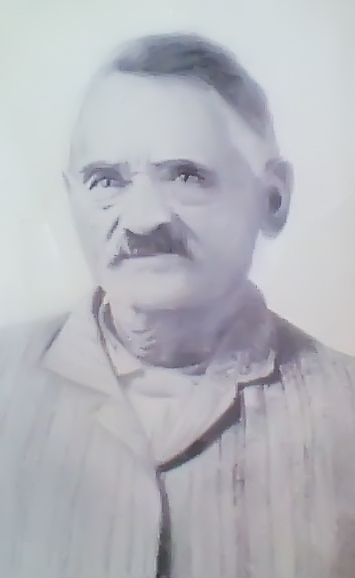 I also have a Henry Newsome., Henry Newsome was born in Northampton,North Carolina in 1799.He and his wife Winifred Mary Chavis migrated to Zanesville,Ohio from Halifax,North Carolina around 1831.Henry and Winifred were my fourth great grandparents. I am also a Bass descendant.My fifth great grandparents were Timothy Bass 1789-1815 and Lydia O.Hammonds 1786-1863.